Central sleep apnea treatments come in a variety of different forms based on what type of central sleep apnea you are suffering from. 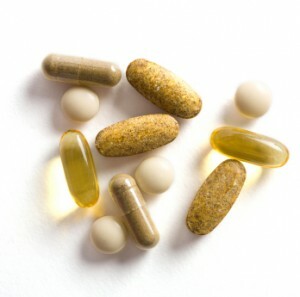 Additionally since not all methods will work for every person, your doctor will initially select one treatment option and if it does not work, the treatment will be changed. As stated above the treatment option selected will vary based on the type of sleep apnea you have. High Altitude Central Sleep Apnea: If your sleep apnea is caused due to the presence of low oxygen i.e. due to high altitudes, the cure would be to move to an area which is at a lower altitude. When you do so, due to the increased concentration of oxygen in the environment your central sleep apnea will be naturally treated. Cheyne-Stokes Central Sleep Apnea: If you suffer from this type of apnea, then nocturnal dialysis along with a medication routine which has been optimized for you will effectively cure the condition. If the condition has been caused due to serious damage to the heart, then a heart transplant will cure the condition. Spontaneous Treatment: If your central sleep apnea is very mild i.e. the apneas occur at a low frequency then a good treatment option is to let your body treat your apnea naturally (this option is only for those who do not have lots of apneas, those who do not experience the many symptoms related to sleep apnea). Curing the Root Cause: Central sleep apnea is usually caused because of another underlying medical condition. Thus by treating that condition i.e. the root problem, the sleep apnea will also be treated effectively. 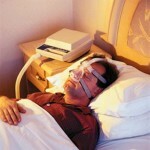 Oxygen: As times, normal oxygen will be prescribed as a cure for central sleep apnea. Such supplemental oxygen is available in a number of forms from which you can choose based on budget and need. CPAP: CPAP or Continuous Positive Airway Pressure therapy is a system wherein pressurized air will be blown into your air passageway to forcibly keep it open thereby preventing apneas from occurring. While this system is very effective it has its share of disadvantages related to comfort and acceptance of therapy. Bi-PAP: Bi-PAP therapy or Bi level-Positive Airway Pressure is a modified form of CPAP. This treatment system also involves the use of pressurized air for therapy, however here two types of pressurized air will be used, while breathing in the air will be pressurized at a higher level than when breathing out. Thus it will allow for easier breathing which makes this therapy easier to adjust to. In short, Bi-PAP is CPAP with some of the major disadvantages removed. APAP: Also known as Automatic Positive Airway Pressure is the most advanced form of therapy currently developed which uses pressurized air. Here, the machine will use software to record information regarding the number of apneas for a specific pressure setting. This information will be used by it to automatically change your pressure settings throughout the night to ensure maximum comfort along with high efficacy and efficiency of the treatment. Pills and Medication: Certain types of medications may also be prescribed to help prevent apneas from occurring while you sleep. As you can see there are a variety of treatments for central sleep apnea. So even if the first method prescribed by the doctor does not work, do not lose hope. Keep trying till you find the cure which works for you.